2017 and 2018 has been a year for groundbreaking achievements in the smartphone industry. There have been lots of innovative trends which are being used by leading smartphone brands. Looking to buy a new smartphone? If yes, then which is the best smartphone to buy? We’ve curated a list of the best phones on the market, including visual media. Certain factors comes to mind such as: Smartphone brand, Price and hardware & software specs. CNET’S Guide to buying not just the brand, but a new phone in 2018 has the answer to it. 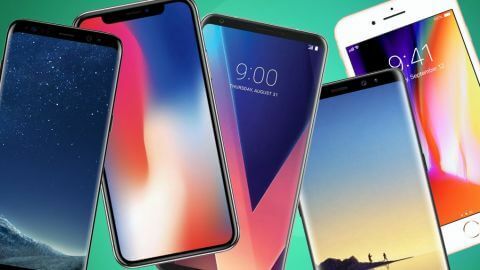 To the Issue of the day - Best Smartphone 2018: Which is the best phone? The likes of Samsung and Apple, who are leading industry brands, released flagships of utmost quality, which parades some of the latest features on a phone. The competition between these two is like a heavyweight boxing bout. Maybe the famed 1975 “Thrilla In Manila” bout of Muhammad Ali and Joe Frazier. Huawei made a bigger statement with the P20 Pro, which has the best smartphone camera. The Mate 10 Pro is another impressive device. Oppo and Google also released the Oneplus 6 and Pixel 2 respectively, both of which has garnered rave reviews from tech enthusiasts and experts alike. LG made a really good impression with its G7 Thin Q and the V30, both of which has the best sound quality. Talking of Industry standard, Samsung keeps raising and setting the bars. They’re unarguably (or maybe arguably) the pacesetters when it comes to shunning out quality flagships every year. The S9 Plus is the best smartphone on the market and adorns the fastest chipset, making it a performance rich device. Whether you’re a basic user, an enthusiast or an expert, this is a smartphone you’ll love. With regards to camera, it’s at the very top with the P20 Pro and Pixel 2. The dual camera setup is definitely the best of its kind. It impresses wonderfully in low light conditions. Not forgetting to mention it has the widest camera aperture for a smartphone. As at the time of putting this piece together. The aluminum and glass build certainly makes it a premium smartphone. Techradar rates it as Samsung’s best phone yet. Are we to talk of the high resolution display? S9 Plus uses the Infinity display which is the best you can definitely get on any flagship. The 6.2 AMOLED screen display gives it a brightful and flawless display. The 3500mAh battery capacity is not the best, but should be okay for users, as you get a 12 hour talk time on heavy usage. What We Think: If you’re thinking of getting an android phone and can cover up the cost, this is the smartphone for you. It has everything you need in a modern smartphone. There’s no android phone which beats its value. It’s the best phone on the market right now. This is the ultimate android experience. After all, it’s Google and so, expect nothing less. 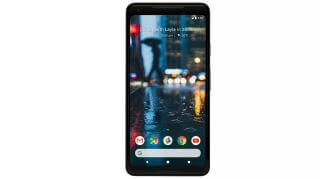 The Pixel 2 or its bigger variant - Pixel 2 XL is a smartphone which could be considered the very best in its own regard, with albeit unnecessary flaws. The only difference between the Pixel 2 (5.0-inch) and Pixel 2 XL (6.0-inch) is the size and battery. Other than that, they have the same specs. If you want a bigger display and battery, the Pixel 2 XL is okay for you. If the 2 XL is big for you, then the Pixel 2 is definitely for you. There’s an argument as to which has the best camera - Pixel 2 or P20 Pro. The Pixel 2 and S9 Plus are the only device which could compete with the P20 pro, in regards to camera. Sure thing is, the Pixel 2 ascertain a fact you don't really need multiple camera setup to give the best photo experience. Every aspect of the camera is stunning. I could go on and on about the camera, but you can see Techradar’s review of the Pixel 2. Google didn't go with the the trend for its display, it still has bezels which were slimmed down for the Pixel 2 XL. Aside that the display is really amazing, but has a fault - poor viewing angles. With 3520 mAh battery capacity for Pixel 2 XL, you can get a day on average usage. The Same cannot be said of the Pixel 2 which has a 2700 mAh capacity battery. The design is beautiful. Google did a better job with the aluminum and glass build, which were coated for a more grippy feel. Bottom Line: The Pixel 2/2 XL has the best of Google and stock android experience. The Pixel 2 XL would be a great buy, but for the price, Pixel 2 would definitely be the best buy. In regards to other specs, there are better devices for such price. It’s one the top smartphone of 2018. The best value smartphone you could get. It has the best price to performance ratio. The OnePlus 6 is actually a steal for its cost. This is a perfect definition of ‘value for money’. 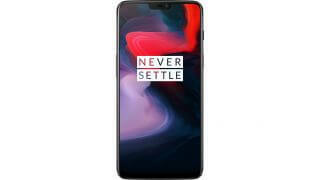 The OnePlus 6 specs is somewhat similar to the Galaxy S.
Performance is great and a really fast smartphone, which affirmed ‘The Speed You Need’ tag by the brand. OnePlus 6 parades a premium design of glass and aluminium build. Display on the OnePlus 6 isn’t something to particularly brag about. The FHD resolution coupled with the OLED screen gives it an impressive display. One downside is the lack of HDR. The dual 16MP dual camera and the rear camera, will give you good photos in whatever conditions. Not in the same class as the the P20 Pro, Pixel 2, S9 Plus and IPhone X though. The camera has no AI capabilities. Battery life is impressive. It’s definitely good for whatever usage. Bottom Line: The OnePlus 6 is a very top smartphone. Nothing is really special other than the price tag. It gives users the opportunity to enjoy high end specs for lesser price. It doesn’t undermine the fact that it’s one of 2018’s best rated smartphone. You’re all aware of how interesting this iPhone is from Apple. Sure thing is - Apple brought their A-game for this device, making it arguably the best iPhone yet. This is a very high value smartphone. It differs from previous iphone releases. 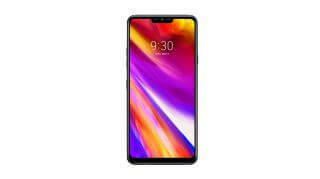 With a major redesign, powerful chipset, better face ID and elegant build. The iPhone X parades a glass design, back and forth, giving it a classy look. With the better AMOLED powered screen alongside true-tone display, it has a very colourful display. And one of the best display around. The brightful display is the first centre of attraction of the device. Also Read: IPhone X Review: Is It Worth It? There’s an improved camera. It performs better in low light condition and captures a lot of details. The true depth camera is definitely a best for iPhones. Aside design and camera, the battery is also pretty impressive. It does better than previous iPhones. A full charge could last you almost a day on average usage. Bottom Line: The iPhone X is an evolution of iPhone - CNET’s review, but the cost is on a high side. If you’re an iFan, this is for you. If you’re willing to wait, probably three months from now, there’ll be a new iPhone. If you haven’t gotten it yet, why not wait? It’s a relief to actually see another brand put pressure on Apple and Samsung at the top. The Mate 10 Pro was a classic, but the P20 Pro is super classic. The P20 Pro has received lots of positive review. ExpertReviews UK considers it one of the most intriguing smartphone of 2018. It’s Huawei’s greatest flagship yet. Not since the days of the Nokia Lumia 1020 has there been much pixels density (92MP) in a smartphone. The P20 pro has the best smartphone camera. Its face ID is also very effective. The FHD display isn’t class leading, but it certainly holds its own against its competitors. The home button doubles as a fingerprint scanner, which is quite innovative. The highlight of the device is the triple rear camera setup which is powered by Leica. First for a smartphone. The 24MP Selfie cam photos are crisp. The rear camera is well detailed, does expressively well in low light conditions and has amazing features. There’s probably no smartphone right now that has better camera. It’s in a league of its own. The P20 Pro’s design is one of the best around as it adorns a strengthened glass and aluminium build. Huawei is known for big battery capacity, the P20 Pro is no exception. A 4000mAh battery is definitely good for any usage. It allows for a two days usage on full charge. Bottom Line: The P20 Pro is a top smartphone, and if you need a phone other than the Samsung and Apple brands, there’s no better choice other than this. With such amazing camera, it’s recommended for photography beginners and enthusiasts. The Galaxy S9 ‘very nearly’ ticked all the boxes that would have made it a best smartphone. 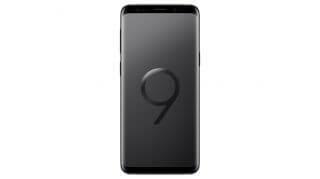 That’s a deliberate attempt by Samsung to make the S9 Plus more appealing. Actually, the S9 is an iterative upgrade of the S8 Plus. It doesn't take anything away from this smartphone as the S8 Plus was the best phone then. It’s pretty much everything you’d expect of a Galaxy S series. One good thing - it still has the 3.5mm jack. The ‘Infinity’ display is definitely the best. Its 5.8-inch size might even appeal to a large number of users. Even with just one rear camera, it still gives a great photo experience. It’s not the best though and not in the same class with the S9 Plus, Pixel 2 or the P20 Pro. According to The Verge's S9 review, it’s predictably great and predictably flawed. It’s a perfect explanation of this smartphone. There’s slight improvement in battery life. The wireless charge is faster than that on the iPhone X. Bottom Line: The S9 differs from the S9 plus which is definitely the better of the two. Samsung made sure of that. It’s difficult to pick this ahead of the S9 Plus, but if the little difference isn’t a big deal to you, it’ll make a good buy. The G7 ThinQ might just be the most underrated and unappreciated smartphone of 2018. It’s LG’s most impressive smartphone. If LG were planning on making a statement of intent, there are very few attempts better than this. It’s an impressive device and even if it isn’t exciting, it does relatively better than some exciting smartphone. LG didn't really impress with the use of ‘AI smarts’ in its camera. Design is really nothing to talk about. The G7 ThinQ does everything, but excite - CNET Review. It easily has the best sound quality of any smartphone. The display is a lot more improved. Bottom Line: It might not be exciting; it may not be what you’d consider; it might not be in same class as this year’s leading brands; but it did well where it mattered most. The slight details is what sets it apart. This is the first time the Note series is considered a worthy competition of the Galaxy S series. The Galaxy Note 8 is a powerful phone with many functionalities. 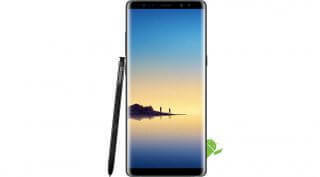 The Note 8 has just increased our expectations for the Note 9 which would be released later this year. If you want more from a smartphone, this smartphone may just be the perfect choice. The stylus pen is very much improved. There’s now a significant drop in price, making it more affordable. Plenty is indeed more for the Note 8. More settings and more choices makes it a smartphone to adore. This Galaxy phablet is rich in features. Big & stunning display, amazing camera, faster performance, and many other features. Bottom Line: It might be pricey, it still remains a good catch with so many great functionalities. The Mate 10 Pro is a promising package at an affordable price, compared to the pricey Note 8. It’s worthy alternative to the Note 8. 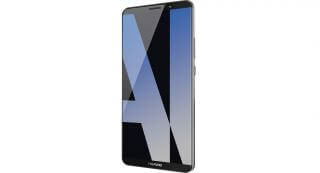 Huawei is known for producing top of the line smartphone, this smartphone reaffirms that claim. The Mate 10 Pro is one of the Chinese company most impressive smartphone, and they’re taking their competitors to the cleaners, save the exception of the best two. With its epic battery life, it’s safe to say Huawei is the industry leader in this regard. Tom’s Guide Mate 10 Pro review stated it as the most ambitious flagship of 2018. You can’t agree more, considering what’s on offer. 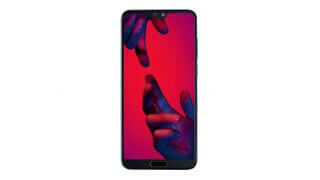 The 6.0-inch phablet supports high dynamic range (HDR10) alongside its AMOLED tech powered display, based on the 18:9 aspect ratio. It has one of the best displays, but its user interface is somewhat frustrating. The Mate 10 Pro maximizes the power of AI in a way never seen on any phablet. The camera is very good and the utilization of ‘AI smarts’ is absolute word class. Its above average camera packs a lot of features. The Note 8 does better in regards to camera. Performance of the Mate 10 Pro is nothing short of great. Bottom Line: It’s less pricey than the Note 8. The features are a bit less than the Note 8 which is better, it offers almost same package with a better battery life. 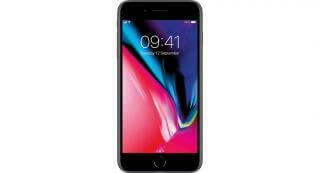 The iPhone 8 Plus may not be regarded in same standard as the IPhone X, it’s still good in its own regard. It can still be considered one of the best smartphone of 2018. It is appealing considering it’s less expensive than the X version. It really offers nothing much different from the iPhone 7 Plus. Maybe the camera, size and wireless charge is something you’d want to think about. It’s an iterative upgrade. Here’s TrustedReviews Opinion of the IPhone 8 Plus. The display is wonderful even if it ain’t OLED; camera is definitely great; battery is even better than the iPhone X. 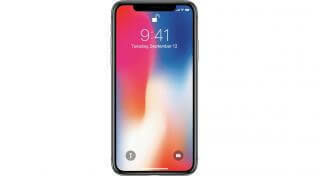 Bottom Line: The iPhone X certainly adorns some new features making it the best iPhone yet, the iPhone 8 plus is okay if you don't find the X interesting and pricey. It’s a wonderful package. The G7 is a strong competition for the V30, and actually the preferred choice for most users. The LG V30 is a value smartphone which is power packed. It’s very impressive, and easily ‘what could have been’ for LG. It’s still one of the best rated smartphone. Design-wise, it’s LG’s best. No argument about that, even with its bezels. The display is great with its 6.0-inch based on the 18:9 aspect ratio. The most impressive spec about the V30 is the battery life it offers and sound quality. The battery could easily last a day. On light usage, it’ll last 2 days without a charge. If you’re the lover of tune, you’ll definitely want this. The V30 is the best sounding smartphone on the market. Its camera might not industry leading, but it’ll sure give you a happy photo experience. It’s good. 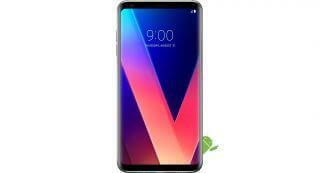 It has its flaws which are noted in TechAdvisor UK Review of the V30. Bottom Line: It’s distinctive and peculiar in all sense. LG could have done better. It’s one of the best flagship from LG’s stable. That rounds up the shortlist of the best smartphone of 2018. At the end of it all, it boils down to personal preferences. What might be appealing to you, wouldn’t appeal to another. We might have a been short sighted or there might have been some oversights while creating the best smartphone 2018 shortlist. That's why we have you. What do you think? Do you think we missed something? What's on your mind? Do you think some smartphones shouldn’t have been on that list? Or maybe some should have been higher up the list? Maybe, there’s a smartphone which you think we might have missed? In your own opinion, which is the best phone? We really want to hear from you. Tell us about your opinion in the comment section. Thanks for your time. Do not forget to share with friends if it’s worth sharing.